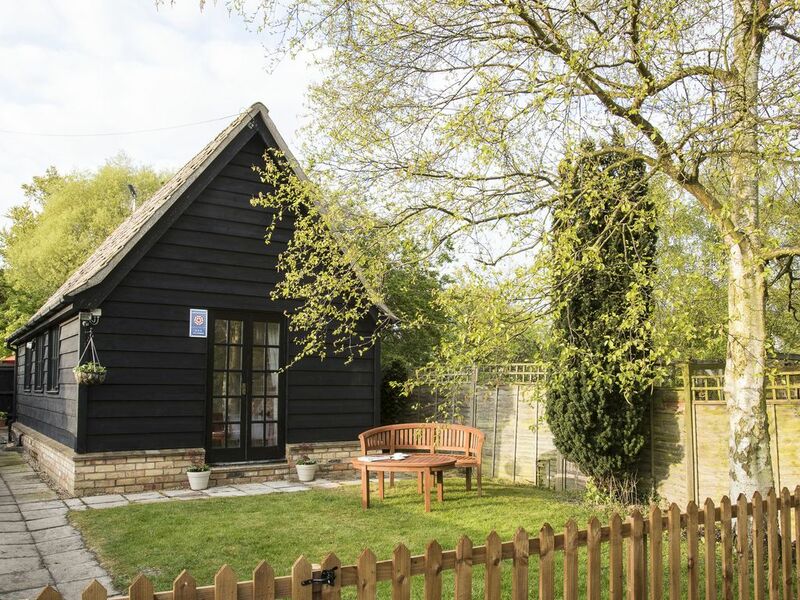 The Forge is a romantic cottage in the village of Abbots Ripton near Huntingdon in Cambridgeshire and is the perfect base for a romantic getaway. The cottage sleeps two people in one double bedroom. There is a shower room with shower, basin and WC. There is an open plan living area with kitchen, dining area and sitting area with a sofa bed. There is also a utility. Outside there are two seating areas. There is a fully enclosed garden and ample off road parking. One well behaved pet is welcome. The Forge is the perfect romantic getaway for a couple to enjoy Cambridgeshire's many attractions. Amenities: Gas central heating. Electric oven and hob, microwave, fridge, coffee machine, washing machine, Smart TV with Freeview, WiFi. Fuel and power inc. in rent. Bed linen and towels inc. in rent. Ample off road parking. Enclosed, lawned garden with patio and furniture. Two well-behaved pets welcome. Sorry, no smoking. Shop and pub 5 mins walk. Note: Maximum two guests only. Note: There is one step to access the patio from the property. Region: Cambridge is a delight to visit in any season: relax in its many pubs, restaurants and cafes whilst exploring the shops around the historic market place. If you want to get up, out and about, you couldnt have picked a better county to explore. Town: Abbots Ripton is a village in Cambridgeshire and lies approximately 4 miles north of Huntingdon. The village is home to the 18th century Abbots Ripton Hall, a Grade II listed building that was built on the site of the old manor house and now is home to gardens, parkland and an ornamental lake. Abbots Ripton has a shop, garage, and a post office as well as the only public house in the village. The market town of Huntingdon lies on the north bank of the River Great Ouse, opposite Godmanchester and close to the market town of St Ives. All ground floor. One double bedroom. Shower room with shower, basin and WC. Open plan living area with kitchen, dining area and sitting area with sofa bed. Utility. Gas central heating. Electric oven and hob, microwave, fridge, coffee machine, washing machine, Smart TV with Freeview, WiFi. Fuel and power inc. in rent. Bed linen and towels inc. in rent. Ample off road parking. Enclosed, lawned garden with patio and furniture. Two well-behaved pets welcome. Sorry, no smoking. Shop and pub 5 mins walk. Note: Maximum two guests only. Note: There is one step to access the patio from the property.